Multifaceted Moby's A Photographer, Too While he's best known for his aural pursuits, musician and DJ Moby has been taking photographs for years. His 2011 photo book, Destroyed, depicts what it's like to roam the world in the wee hours. Since then, he's turned his lens toward the architecture in Los Angeles, his adopted hometown. 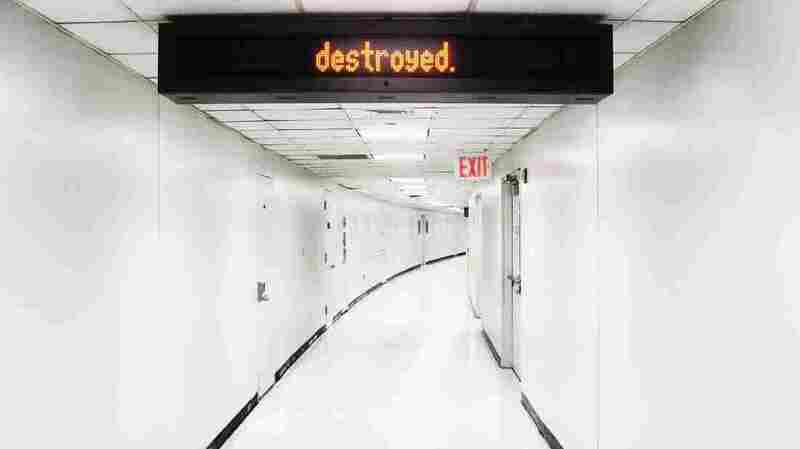 Moby's 2011 book, Destroyed, is a visual journey of a touring artist's insomnia. See a gallery of photos from Destroyed. While he's best known for his aural pursuits, musician and DJ Moby has been taking photographs for years. He released his 2011 photo book, Destroyed, to accompany an album of the same name. The book offers a visual journey of a touring musician's insomnia. Isolated and disoriented by jet lag and strange hotels, Moby shows readers what it's like to roam the world at hours when most of us are sleeping. Since then, he's turned his lens toward the architecture in his adopted hometown, Los Angeles, posting the pictures, and stories about their meanings, online. Moby tells NPR's Neal Conan about the stories behind his images and why L.A.'s architecture drew his eye.